If you are full of passion for travel, Phuket Island will be a great choice for you. With landscapes gifted by nature, this place is dubbed "The pearl of Thailand". It has been known as a tourist attraction both in Asia and in the world. Coming here, you will certainly have unforgettable experiences by enjoying the beauty of nature. Besides, you will also have the chance to join leisure activities. Phuket Island is the largest island with the total area of 540 km² in the South of Thailand. It is also a separate province of this country. Forest makes up 70% of Phuket's area. The west coast is covered with white sandy beaches while intertidal mudflats account for almost all area of the east coast. Phuket Island with hundreds of islands, numerous mountains, cliffs and caves is waiting for discoveries of visitors. Phuket Island has an international airport, so visitors do not need to worry how to reach Phuket to have a wonderful holiday. Why does Phuket become an attractive destination? 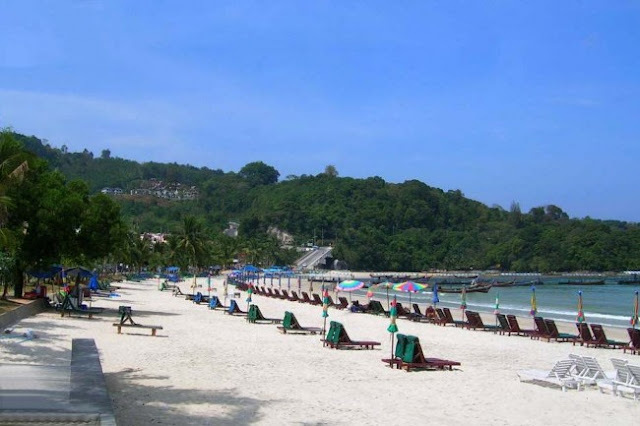 Phuket Island consists of different islands and bays. Hat Kamala (in the north) is famous for long sandy beaches and blue seawater covered by ranges of casuarinas. 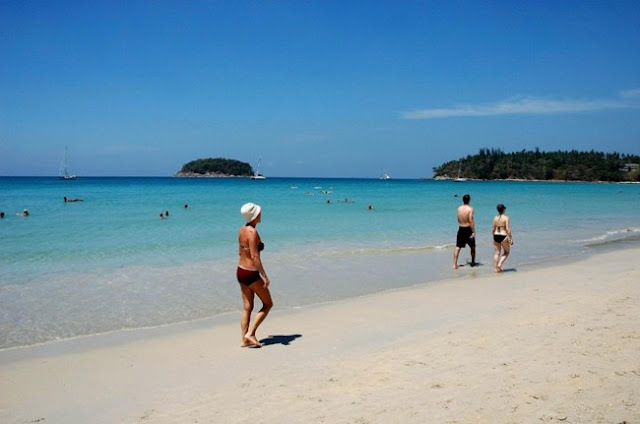 Or Kata beach - one of the prettiest beaches of Phuket Island. Unlike Patong, Kata will bring you peace and quiet. You can completely relax by swimming in crystal clear water and enjoying the salty sea air. There are so many beaches like Karon, Kata Noi, Patong - fascinating places which are waiting for you. Each of them has a distinct outstanding beauty. You also shouldn't forget to visit Phang Nga Bay with majestic rock islands and limestones. Tourists will have the chance to admire turquoise seawater and stunning scenery. 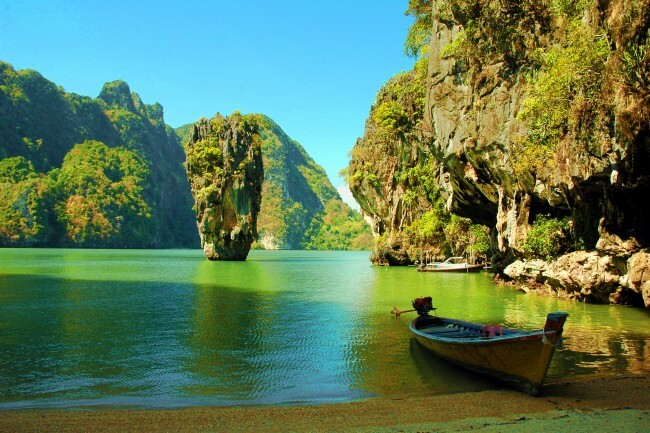 Don't miss the opportunity to admire the most celebrated island called "Ko Khao Ping" which appeared with character James Bond in the movie "The man with the Golden Gun". A boat will be the best mode of transport for you to enjoy all landscapes. James Bond Island appeared in a scene in the movie "The man with Golden Gun"
In addition, gorgeous coral reefs in Koh Rang Yai or Koh Hae are also must-see places for those who love traveling. 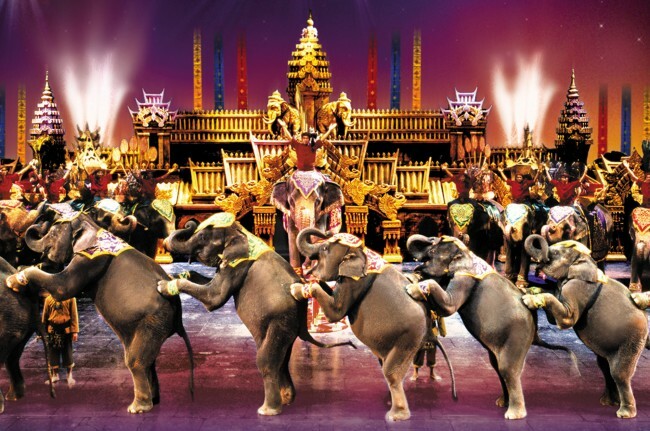 Apart from beauty in nature, Phuket is known as a paradise of entertainment activities. You can experience all forms of recreational activities in Hat Patong such as restaurants, hotels, shopping areas and vibrant nightlife. Eating some specialties of Thai cuisine and then watching unique performances of Fantasea show or Simon Cabaret, you will know exactly why Phuket gets popular. Don't worry about time because you might participate in all interesting activities all night long. If you think of Phuket only with hustle and bustle, you are wrong. Besides lavish entertainment, Phuket Island also attracts people by the peace of a Buddhist country. Located on Nakkerd Hills, between Chatong and Kata, The Big Buddha is a typical Buddhist structure of Phuket Island. With 45m in height, standing on the hill, you can easily have a good view of the whole Phuket Island. The Big Buddha is made of Myanmar white stone to memorize the 80th birthday of Bhumibol King. 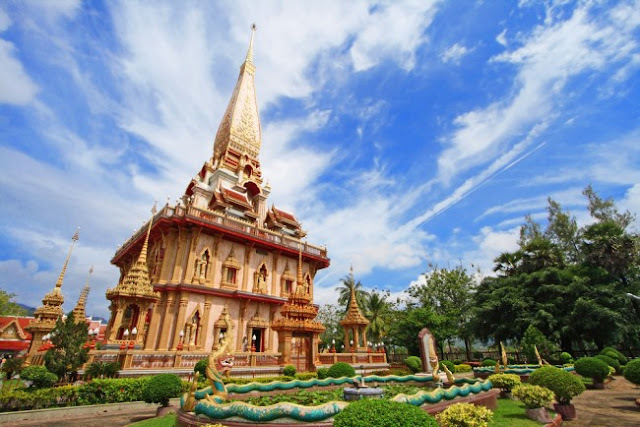 There are also other sites for travelers to choose such as Wat Chalong. It was built in 1837 to worship two respected monks (Luang Set Chaem and Luang Chuang). Wat Chalong is beautifully decorated with small pieces of glass. Its walls are decorated with pictures about the life of The Buddha. Local residents believe that coming to Wat Chalong and touching monks here will bring you health and luck. Actually, I can't list all destinations in Phuket Island since they are abundant in number and diverse in types. Why don't you think of experiencing all by yourself? Trust me! You won't regret because Phuket Island is really deserved to visit.